About 20 years ago, it was predicted that workplace automation, the rise of the internet, and the ability to work from nearly anywhere would lead to a massive increase in leisure time. And as a result, we would see an increase in tourism worldwide. This was predicted to be good for everyone: more travel, more vacations, and a better-funded tourism industry with well-paid jobs for all… Well, the result has happened, and world tourism is at an all time high. However, the reason for that increase was not really as predicted. Certainly workplace automation, computerization, and the ‘always on’ mobile Internet have had an effect; but the boom has come from other areas. The rise of the Boomer generation was the first driver. Those born after WW2 through 1964 have come to retirement age across the world. They may not actually retire completely……. Empty beaches, storm clouds on the horizon? No one can underestimate the effect that the 9/11 terrorist attacks had on global tourism. Travel patterns changed across the world. The USA tourism market suffered and not only from the reticence of tourists and business people to get on a plane, but also from the perception of travelers from outside the country that the USA had become unwelcoming. The understandable (to US minds) restrictions that were placed on incoming travelers did nothing to alleviate those feelings. The loss of income to the industry has been estimated at $600 billion. Some in the industry have referred to the subsequent 10 years as the ‘lost decade’. The US tourism industry has only recently recovered. Recently, things have been looking much better for incoming tourism, however 2017 has the potential to be a disaster. Firstly the strength of the US Dollar, while wonderful for those of us here who want to travel overseas, is a big problem for inbound tourism. Suddenly it’s expensive for most inbound travelers no matter how attractive our destinations and how welcoming our inhabitants. In fact, currency markets are volatile and are affected by many things – interest rates, global politics to name but two. Perception outside the US is that things are more expensive here than they used to be, but that doesn’t really dampen tourism plans too much. It’s a ‘swings and roundabouts’ thing. While writing this, the Chinese Yen has strengthened against the Dollar making it more attractive for the tourists who are spending more on traveling than any other nation. Who knows what the announcement of a British election, the results of the French election or dozens of other local events will have. The main drivers of people’s decisions about where they take their vacations in any one year are based on simple human emotions. I can’t tell you the number of fellow Americans who’ve asked me (born a Englishman and a European) if I think it’s safe for them to travel to London following the Westminster Bridge terrorist incident, or if Paris, Amsterdam or Stockholm are dangerous. As a life long traveler my answer is yes, of course it’s safe. You’re more likely to be injured in your own kitchen than involved in a terrorist attack. But that doesn’t satisfy the average US traveler. I may not agree with their rationalization, but I do understand it. So, traveling in the other direction – into the USA – what are the worries of potential leisure travelers? Without doubt if it’s on the ‘bucket list’ of someone from overseas to visit the Grand Canyon, go shopping in New York, eat in New Orleans or drink wine in Napa Valley then that’s something they will still want to do. They just may not do it right now if their gut instinct is telling them this may not be The Year. In the dim and distant past we could only judge intentions to travel by looking at actual bookings, or cancellations. The Industry would rely on the buzz from call centers or apocryphal information coming from travel clerks. These days we can see at an instant what people are looking at and what is turning that looking into booking. Since the beginning of the year we are seeing distinct patterns in what people are looking for and that gives a pretty good indication of what will eventually happen. It does seem that travelers from many destinations are thinking seriously about reviewing their plans to come to the USA. Obviously the proposed travel bans that came out early in the year would impact potential travelers from the countries affected directly, and indeed bookings from the Middle East fell by around 30% in February. The strength of the Dollar at the time may also have been a contributing factor. According to Marriott, the largest hotel chain, bookings from Mexico are down 15%. Given the political rhetoric regarding US/Mexican relations that’s understandable too. What’s not so understandable, particularly for a great number of US Citizens is why bookings and intention to book, from Canada, Europe and Asia are also way down. The travel bans are not in place and they only affect a limited number of countries, so why would Canadians and Europeans be put off from coming? Why would Chinese or Indian tourists not wish to come? Again it comes down to perception. Let’s take the UK. I can speak to that nation having been born, grown up and spent most of my adult life there. The US is seen by most Brits as a bastion of democracy with legal system developed largely from the English model. The two nations share much history and struggles. They also share a common language – pretty much. However, many Britons are second, third or fourth generation immigrants from counties of the Commonwealth. They have names and religions from those countries and may have visited family traditional homes many times. Their worry is they will be subject to intense vetting, and may be turned back. The news that Mohammad Ali’s son – a US Citizen sharing the name of his US Hero father, has been twice detained in the US while traveling just because of his name and religion, has done the rounds of the UK media. That not unnaturally has an effect. Although there is a Special Relationship between the US and UK, it’s been rumored that incoming travelers may be asked to hand over their cell phones and social media passwords for examination. Even if that’s not the case, many Britons are thinking that this may not be the year to travel, just to be on the safe side. From a Florida perspective, we’ve seen on-line enquiries for travel from UK to Florida destinations reduce by between 12% and 60%. Britain is the second largest market (after Canada) for travelers to Florida. Places like Miami, Orlando, St. Pete and Fort Lauderdale are down close to 60%. The phrase ‘bookings are falling off a cliff’ has been used. 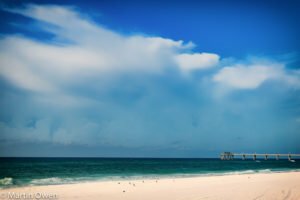 What does this mean for Northwest Florida, a region where international leisure travelers account for only 1% of the total visitors? It would appear to be a potential knock-on effect where destinations that have significant numbers of internationals will try to replace the lost tourists with domestic travelers. The marketing budgets of places like Orlando and Miami not to mention New York, Los Vegas and the whole of California are way in excess of those of Destin or Panama City Beach. To those destinations, filling an hotel room with a shorter staying, spending less domestic tourist is better than leaving it empty. They will do anything and everything to entice those travelers away from NWFL. The main drivers of people’s decisions about where they take their vacations in any one year are based on simple human emotions. I can’t tell you the number of fellow Americans who’ve asked me (born a Englishman and a European) if I think it’s safe for them to travel to London following the Westminster Bridge terrorist incident, or if Paris, Amsterdam or Stockholm are dangerous. As a life long traveler my answer is yes, of course it’s safe. You’re more likely to be injured in your own kitchen than involved in a terrorist attack. But that doesn’t satisfy the average US traveler. I may not agree with their rationalization, but do understand it. In the dim and distant past we could only judge intentions to travel by looking at actual bookings, or cancellations. The Industry would rely on the buzz from call centers or apocryphal information coming from travel clerks. These days we can see at an instant what people are looking at and what is turning that looking into buying. Since the beginning of the year we are seeing distinct patterns in what people are looking for and that gives a pretty good indication of what will eventually happen. It does seem that travelers from many destinations are thinking seriously about plans to come to the USA. Obviously the proposed travel bans that came out early in the year would affect potential travelers from the countries affected directly, and indeed bookings from the Middle East fell by around 30% in February. The strength of the Dollar at the time may also have been a contributing factor. Again it comes down to perception. Let’s take the UK. I can speak to that nation having been born, grown up and spent most of my adult life there. The US is seen by most Brits as a bastion of democracy with legal system developed pretty much from the English model. The two nations share much history and struggles. They also share a common language – pretty much. However, many Britons are second, third or fourth generation immigrants from counties of the Commonwealth. They have names and religions from those countries and may have visited family traditional homes many times. Their worry is they will be subject to intense vetting, and may be turned back. The news that Mohammad Ali’s son – a US Citizen sharing the name of his US Hero father, has been twice detained in the US while traveling just because of his name and religion, has done the rounds of the UK media. That not unnaturally has an effect. From a Florida perspective, we seen on-line enquiries for travel from UK to Florida destinations reduce by between 12% and 60%. Britain is the second largest market (after Canada) for travelers to Florida. Places like Miami, Orlando, St. Pete and Fort Lauderdale are down close to 60%. The phrase ‘bookings are falling off a cliff’ has been used. 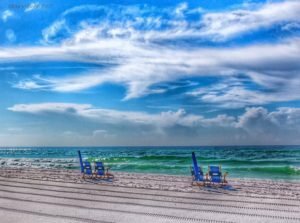 What does this mean for a Northwest Florida, a region where international leisure travelers account for only 1% of the total visitors? It would appear to be a potential knock-on effect where destinations that have significant numbers of internationals will try to replace the lost tourists with domestic travelers. 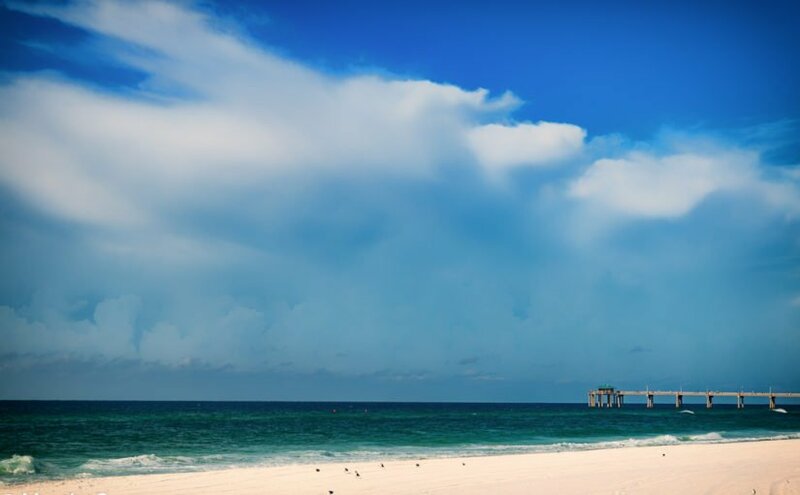 The marketing budgets of places like Orlando and Miami not to mention New York, Los Vegas and the whole of California are way in excess of those of Destin or Panama City Beach. To those destinations filling an hotel room with a shorter staying, spending less domestic tourist is better than leaving it empty. They will do anything and everything to entice those travelers away from NWFL. In regions like Northwest Florida, we have to step up our game in attracting new domestic markets, and stay on track with long term plans for International guests. 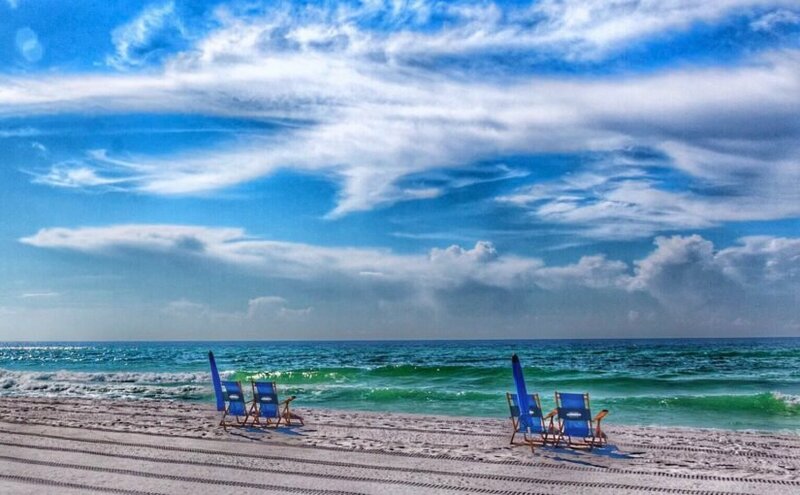 After all, NWFL is The Deep South, known for its charm, good manners and welcoming locals. Tourism is and always has been at the whim of changes to the global scene. It’s success is due to it’s ability to change direction and adapt. As long as we’re aware of trends and move fast we can still welcome our guests in increasing numbers. But it’s not all gloom. One country is showing huge increasing interest in visiting the USA. Searches for flights to the USA have surged 60% since January – from Russia! Empty beach, storm clouds on the horizon?